Congratulations for all students that has been qualified for Student Exchange Programme - Spring 2017/2018. Throughout the interview procedure we have had clarified to all applicants to show their motivation, their completion regarding to the requirements subjects, and their ability to answer all the question from the interviewers/assessors. We also underline to all students that this announcement is based on our discussion and it is the best option for maintaining partnership to our university partners. We also encourage the students that was not enlisted on the announcement letter to apply again for the upcoming student exchange programme for the next semester. Once again, we kindly to congratulate the student for the first step of student exchange Spring 2017/2018. 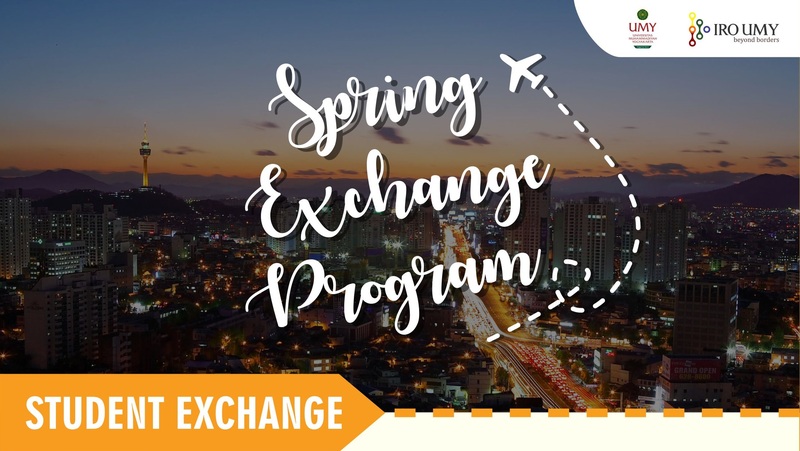 Here the link to download the attachment: Announcement for Student Exchange (Spring 2017-2018).